Modern Family’s Nolan Gould for The National Audubon Society and Toyota, showing how you can keep the beach safe for birds and other wildlife. This video is the second in a series of comedic videos sharing bird-friendly, and conservation tips that Audubon and Toyota will roll out over the next year. 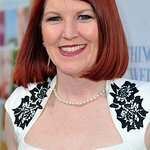 The first video in the series features Kate Flannery of NBC’s The Office in a hilarious video, purporting to be the first ever PSA written, directed and edited by birds. The videos are presented by Toyota TogetherGreen, a partnership between Toyota and The National Audubon Society that supports and fosters diverse, community-driven conservation projects that result in sustainable and innovative solutions. The program, now in its seventh year, has invested $25.4 million in community-based conservation, engaging more than 435,000 people in 295 cities and all 50 states. For more details about Audubon and Toyota TogetherGreen, please visit: www.togethergreen.org. While the video uses a humorous tone to convey the message, the issue of protecting nesting birds and their habitats is actually quite serious. With Labor Day weekend approaching many people will choose to celebrate the holiday weekend at the beach. Birds are already there—terns, skimmers, oystercatchers, plovers— nesting on the beach and trying to raise their chicks. It’s a critical time for coastal birds and there’s no better time to help protect our Atlantic coast and the birds that depend on it every year. The National Audubon Society has compiled the following guide on sharing the beach with nesting birds, so hopefully you can avoid making the same missteps as Nolan on his first date. •	Birds nest on beaches throughout the Atlantic coast, often on the same beaches that are popular with visitors for the Labor Day holiday. The breeding season is April through the end of August. •	The greatest threats to beach-nesting birds are human disturbance and habitat loss. •	It only takes a few minutes in the hot summer sun for little chicks to die from temperature stress. •	The most endangered shorebird along the Atlantic Coast in the continental U.S. today include the Piping Plover (federally threatened). •	Least Terns, Common Terns, Black Skimmers and American Oystercatchers are listed in many Atlantic Coast states as threatened or special concern species. When people help shorebirds by sharing the beach, they are rewarded with the spectacle of wild birds including the opportunity to observe the excitement that unfolds with every nesting season. These are some simple steps you can take to help coastal birds. •	Enjoy the sanctioned and approved firework celebrations. Impromptu fireworks in the vicinity of nesting areas can be devastating for birds. •	Respect protected areas and signs. Birds, eggs, nests and chicks are well-camouflaged and disturbance by people and their pets can cause birds to abandon their eggs and chicks, leaving them vulnerable to predators and extreme temperatures. •	Avoid disturbing groups of birds that are nesting or feeding. If birds take flight, call loudly or act agitated it means you are too close. •	Keep your dog on a leash and away from the birds. Coastal birds perceive people and pets as predators and leave their nest or chicks. •	Please don’t leave trash or fishing line on the beach. Take your trash with you and place in an appropriate trash container. Trash attracts real predators such as gulls, crows, raccoons and foxes. Fishing line entangles and kills birds. •	Please do not fly kites near nesting and feeding areas. This will cause birds to leave their nests or chicks leaving them vulnerable to predators and extreme temperatures, which can kill them.